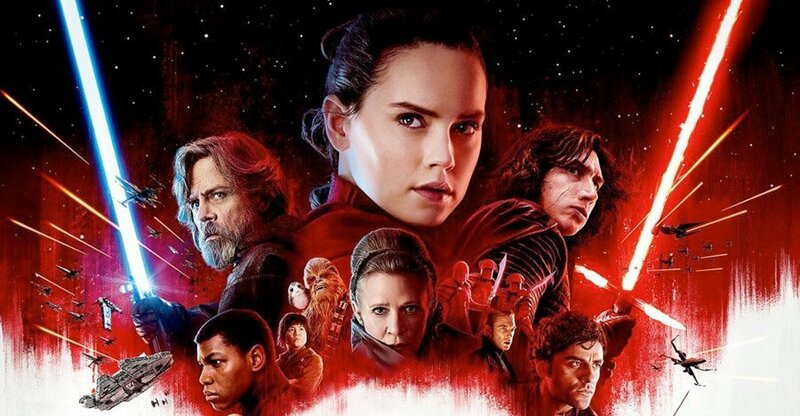 Lessons from "Star Wars: The Last Jedi"
You don't have to come from greatness to be great. We put so much weight in history, genetics, the "family tree"; it often determines whether we can expect a wealthy, rich life full of health and fortune, or one with many bumps, falls, and scrapes along the way. The Star Wars saga is ancestry's mascot. However, does it have to be this way? Rian Johnson says no, in a big way. So much of the build up with "The Force Awakens" were the questions revolving around Rey's parentage— is she daughter of Han Solo? Brother to Kylo Ren? Fathered by none other than Darth Vader himself? It was these questions that laid the foundation for Rey's power and abilities as a forthcoming jedi, so when Rian Johnson took over as director for "Last Jedi," you'd think he'd answer these inquiries. Instead, he smashed the status quo— Rey came from nothing, her parents weren't special, famous, or powerful. All of her strength, her gifts, come from HER. This caused a ton of backlash from die hard Star Wars fans, but it's the most brilliant lesson this franchise has given us. You don't have to come from greatness to be great; you have everything you need to become exactly what you are supposed to be. Always with you, Yoda is. That little green dude legit never dies. And I'm okay with that. Apparently neither does Luke Skywalker... until he sits for too long. But whatever. There can never be too many cute space critters. Specifically, the little furry Porgs, the horse/cat/dog things aka Fathiers, and those icy foxes (conveniently named Vulptex, even more proof that Star Wars and Pokemon are the same). Can I get some stuffed versions of those, please? They'd go great with my pillows. When you think you're done, keep going. I mean, this is prevalent in basically every Star Wars film, but is especially relevant now. When times are rough, when we have presidents who are more likely to get us nuked than to save the world, when those jeans just don't fit the way they used to... keep going. There's always another way. If the door doesn't open, go through the window, if the window is locked, break down the wall. Kind of like how Rey gets rid of all those boulders. Whatever you do, keep going.